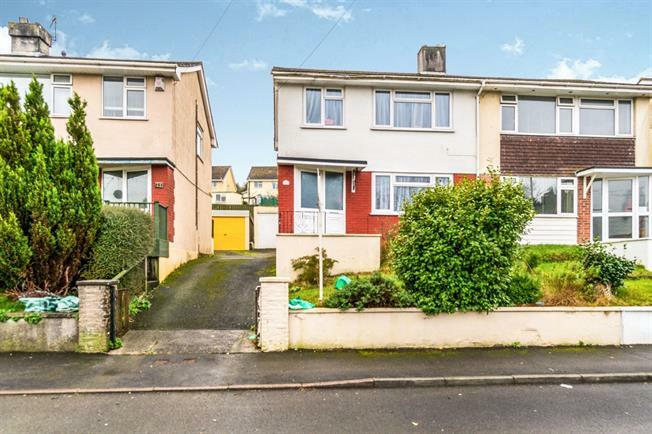 3 Bedroom Semi Detached House For Sale in Plymouth for Offers Over £175,000. This semi detached house is located on a very popular road within Plympton. The property comprises of an entrance hallway, lounge, kitchen diner, three bedroom sand bathroom. There is a shared driveway and garage along with front and rear gardens. The property has been much improved by the current owners in the time they have lived there and this includes double glazing, bathroom and kitchen. Further benefits are double glazing and gas central heating. A viewing is strongly recommended.